Dear suggested we bring Dawn to the swimming pool and off we go! 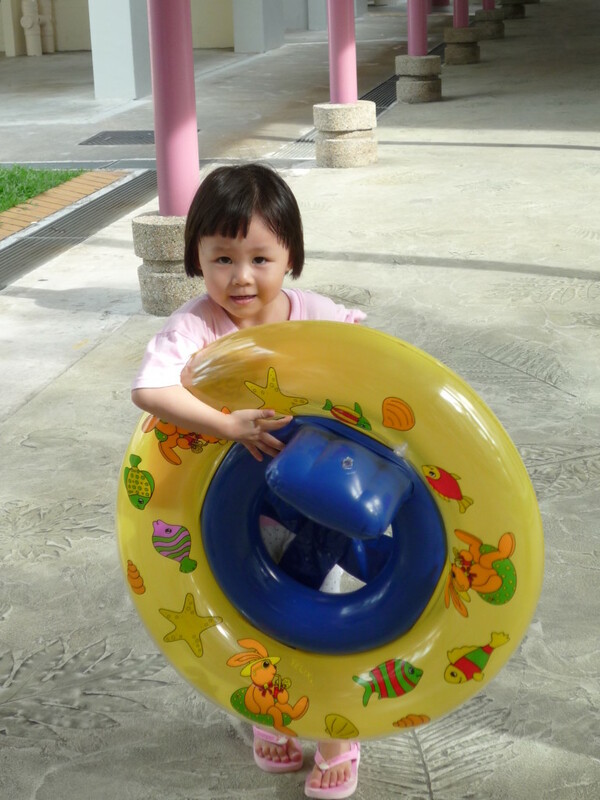 My sis bought a swimming costume for Dawn long long time ago and it was too big for her then. When we tried it on Dawn again, it fits very nicely now! As we went to the public pool, so we had to put all our belongings to the locker; as such no photos of Dawn in the pool. As usual, she hates water down from head and she loves splashing water on Dear and me. And she will laugh heartily when she “invaded” us with the water successfully. Me : Dawn Dawn, so do you want to go swimming again? Dawn : I say No. Me : Why No? Why Dawn Dawn say no? Me & Dear : Why Scared? Me : Oh, Dawn Dawn scared of the water running down the head? 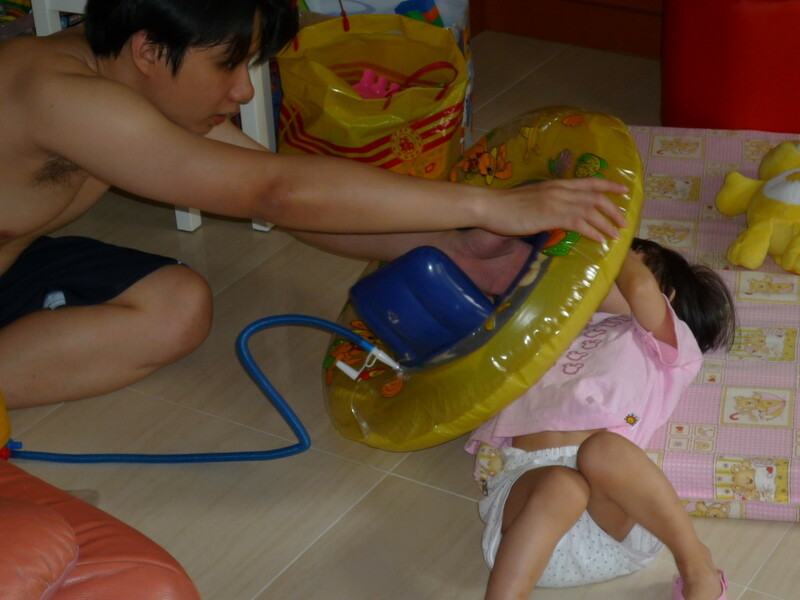 Next time ask papa to give Dawn warning about the water 1st ok? Me : So do you still want to go swimming? Aiya….. the most after swiming you eat at my place lah….. you dun have to go home straight away after 1 hour mah….. haha…..